DOCi - Emerging Filmmakers Programme is a community-oriented program similar in scope and scale to our international DOCi program, but functioning through the mechanism of an NPO (Non Profit Organization) and geared towards the South African community. This module is run as an adjunct operated through Kalahari Film & Media's Young Filmmakers Program which has been operating for the past four years with full government accreditation as a registered NPO. The aim is to reach young filmmakers, especially young people of colour, who have no access to the fee-paying film schools within the South African private tertiary education sphere. We provide our course free at point of use to students, supported by direct sponsorship and through charitable funding of the school itself. In addition to covering the cost of tuition and equipment, the course provides a stipend to cover transport for the students, without which many of them would be unable to attend classes. We are supported through the American Consulate in Cape Town and run our DOCi Emerging Filmmakers course at the American Corner in the Central Library. 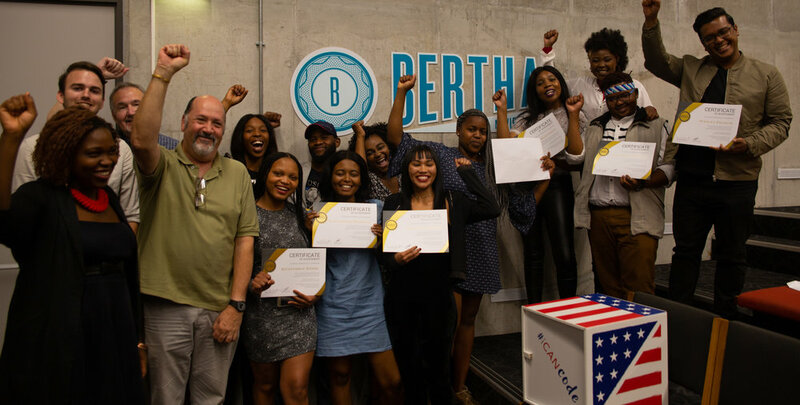 Our initial intake of 13 students completed the course this May, with their documentary films screening at the Encounters International Documentary Festival and the Black Filmmakers Film Festival in Cape Town.